Our neighbor has an ongoing issue with phylloxera plague on his grapes and we want to make sure we don’t get them too. They are little bugs, hard to see and very persistent. They seem to come back year after year no matter what he sprays. I have grapes too but I heard this pest will live in trees too like my walnut so I want to do something. Is there some kind of systemic? I heard that will do the trick. I want to treat a row of trees along our property line. I think they’ll get infested at some point if I don’t do something. 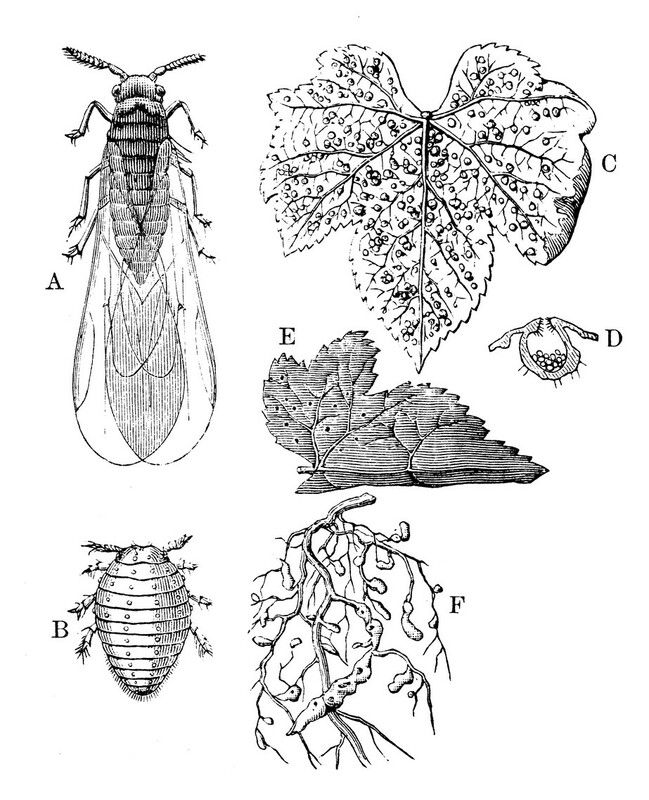 Phylloxera are small aphid like insects which feed on plant sap through plant leaves and roots. They have a complicated life cycle and since they are so well protected in various stages, they can be hard to purge. Here in the states, we mostly deal with the pecan phylloxera. Best known for being a problem on pecan trees, they can live on other nut producing species too. 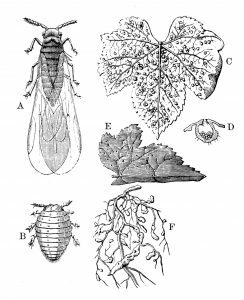 The other phylloxera is known to be a problem for wine farmers. Typically they’ll target grapes and once a plant gets infested, it can be difficult to knock them out. Unlike most insects, this species is well protected even when young. Nymphs can produce leaf “galls” well hidden on the bottom of leaves making it difficult for chemicals to reach them. Adults only mate and die; they don’t eat or live long but they can fly. As winter approaches, eggs will be laid in the host plants bark to overwinter. Next spring, the hatching nymph will lay eggs in another protected gall she’ll create with her saliva. The hatching nymphs from this gall will migrate to new leaves or down into the ground to thrive on the plants roots. All this activity will get worse and worse from year to year and eventually the host plant will succumb to a range of fungus like powdery or downy mildew which will lead to a rapid decline in health and eventually death. So what has proven effective when dealing with this sap sucker? Systemics. These are products which will get absorbed by the plants roots and once “in” the tree or vine, the active will distribute naturally to all leaves where it will be ingested by any insect trying to feed. 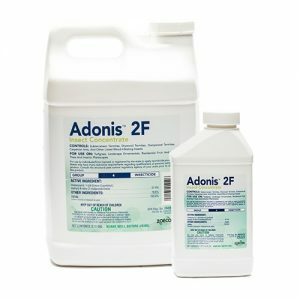 The best systemic for the job is ADONIS. Mix it at the rate of 1 oz per 3-4 gallons of water per 10″ wide trunk. So if the tree is 2 feet wide, plan on using 3 buckets for a total of 3 oz of chemical and 8-12 gallons of water drenched into the soil around the trees trunk. The best way to apply the mixture is to use a piece of rebar or pick ax to poke 5-10 holes in the ground around the tree, inside the drip line. These holes should be 1-2 feet deep so they will act as a funnel and hold the mixture when you pour it out. For a 2 foot wide tree, plan on making 15-20 holes. Treatments last a long time and generally only have to be made once in the spring. But if you find you the problem in the fall and treat in August or September, don’t wait a whole year again till you renew the application. Instead, treat the following spring to ensure you have a good amount of chemical in the ground for the whole next growing season. 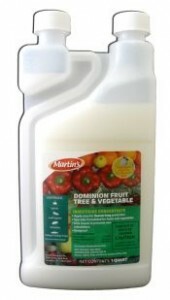 If you’re harvesting fruit or nuts from the infected plant, use FRUIT VEGETABLE DOMINION. It uses a less concentrated % of active so its safe for use on plants yielding a harvest you want to eat. Mix 2 oz per gallon of water and soil drench 40 feet of vines per mixed gallon of water. Keep in mind when using either of the two systemics above, it will take a few weeks for the active to be absorbed enough to have an impact. The size of the plant factors in as does the time of year when you treat. But if its warm and you have active phylloxera, it would be wise to spray the plants foliage. Both products can be used for foliage treatments and will help provide short term control. But once the systemic kicks in, you should have long lasting kill action for anything trying to feed on the treated plant. 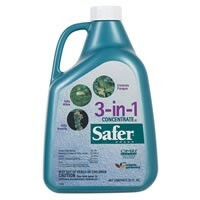 Lastly, if the plant is suffering from fungus, go with 3-IN-ONE SPRAY for the foliage. This product is fast acting on insects and contains a fungicide so you can help treat both problems with one spray. Add 4-8 oz per gallon of water and spray once a week for 3 weeks.